You can skip all the grind. 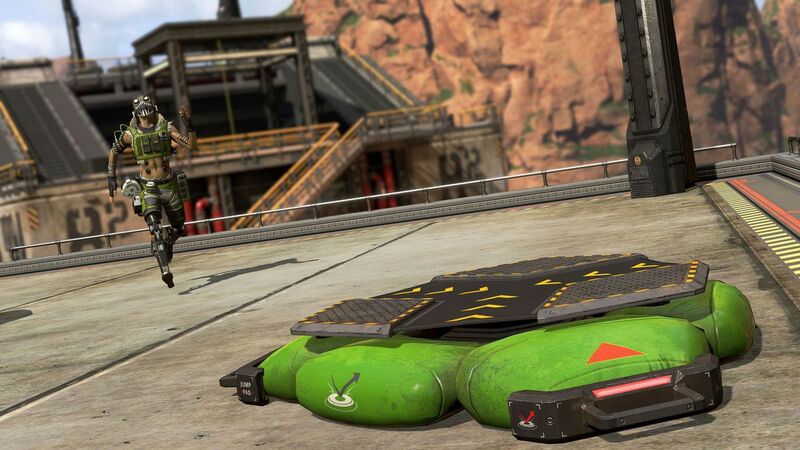 All Apex Legends players now have access to the season one Battle Pass. Paying 950 Apex Coins will let them work towards unlocking 100 levels of rewards until June 18, when season one ends. Getting enough Battle Pass points to get all rewards can take a while even with a three-month season, especially for players who aren’t willing to spend so much time in the game or simply aren’t able to. Fortunately, there’s a way of rushing things up. Related: How to play Octane in Apex Legends. When a player clicks that button, a new window pops up. It will show your next Battle Pass level and the rewards you can unlock when buying it. The purchase button at the bottom shows players can pay 150 Apex Coins to buy one level, and they can buy as many levels as they want. 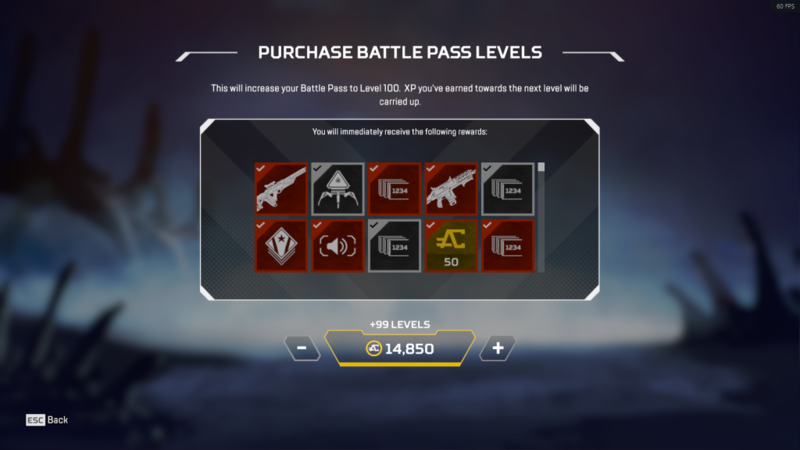 Since players who own the Battle Pass start in level one, they can buy up to 99 levels, which means buying the whole season one Battle Pass and instantly unlocking all its rewards costs 14,850 Apex Coins. To buy this many Coins and taking into account the cost of 950 Coins to acquire the Battle Pass, a player who wants to buy everything at once will need 15,800 Apex Coins. In cash, the alternative with the best value would be to buy the $100 and the $40 Apex Coins packs, which still leaves you 300 coins short of the goal. That’s only two Battle Pass levels away from the maximum, so if you’re fine with playing a few matches to get them, paying $140 is the best deal. Those who really want no effort at all will have to spend 300 of the coins they got as a reward from previous levels to buy the rest of the pass. That’s how much you need to get everything in Apex Legends’ season one Battle Pass instantly. If that sounds too much for you, be patient and get ready to play a lot to unlock all 100 levels without spending any additional money.